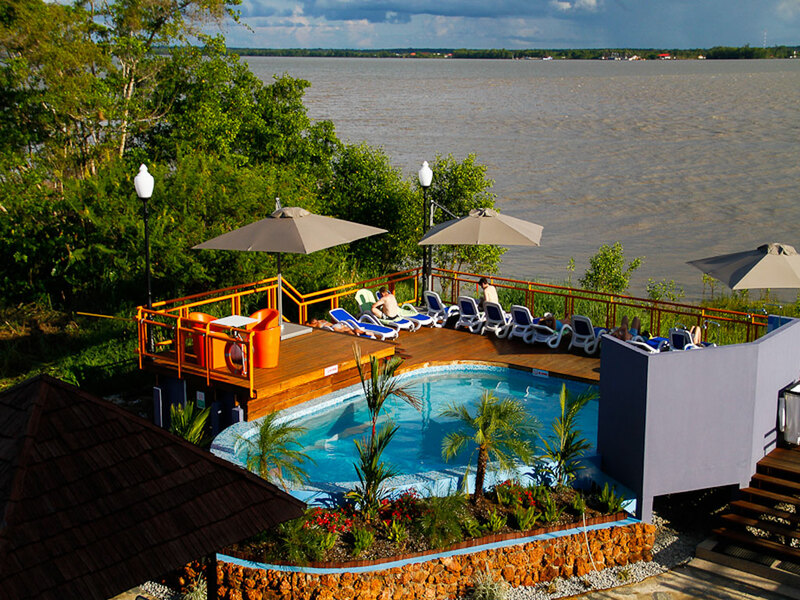 From the hotel you have an excellent view on the Suriname river, the bridge and the port. 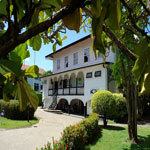 Downtown Paramaribo is in walking distance as well as the Independence Square, the tranquil Palm Garden, the mysterious Fort Zeelandia and the lively entertainment center. The city's most important houses have always been situated on the Gravenstraat, which, however, is followed immediately in architectural importance by the Waterkant. Unfortunately, all the oldest buildings were lost in the fires of 1821 and 1832. There are not only handsome patrician houses . Many of them now converted into offices . But also several large commercial buildings with a higher central section and lower wings at either side. A small premises that hasn't considerably changed since its construction in 1830. Before the Fire of 1821, there was a small house there. It was built in 1750 adjoining the lot of Cornerhouse [Waterkant 002], but was sold separately later on. 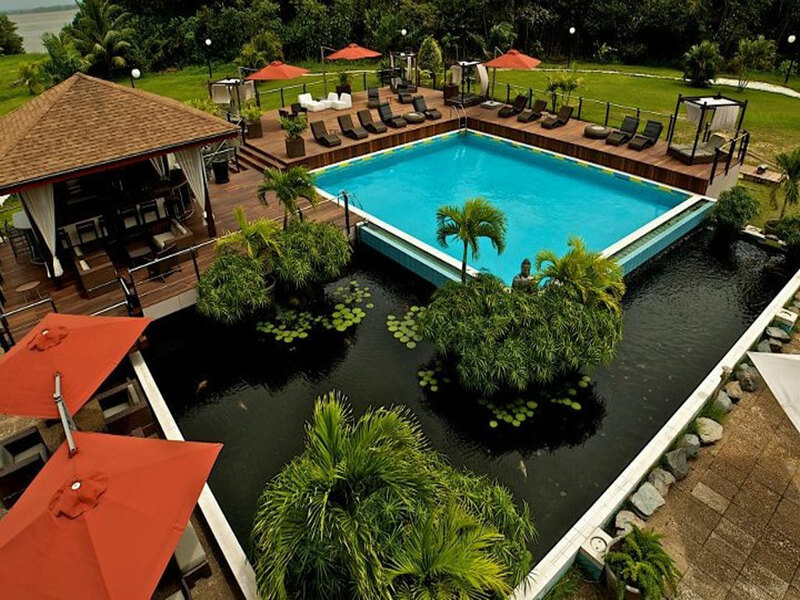 Luxury Resort Surinat (Surinam Nature) is a holiday resort in the beautiful nature from Domburg - Surinam. In 2007 we opened our "small luxury resort" for guests.The owners of the resort are Dutchmen who would like to make Surinam's nature - the Tropical forest, birds and the monkeys from the Amazon - , the rich history, the wonderful climate, and the Surinam way of life accessible to the public. Respect towards nature as well as to the people are central management tools for our resort. 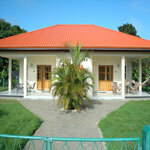 You'll find Surinat in the jungle of Surinam, here you can relax or spend an active holiday. 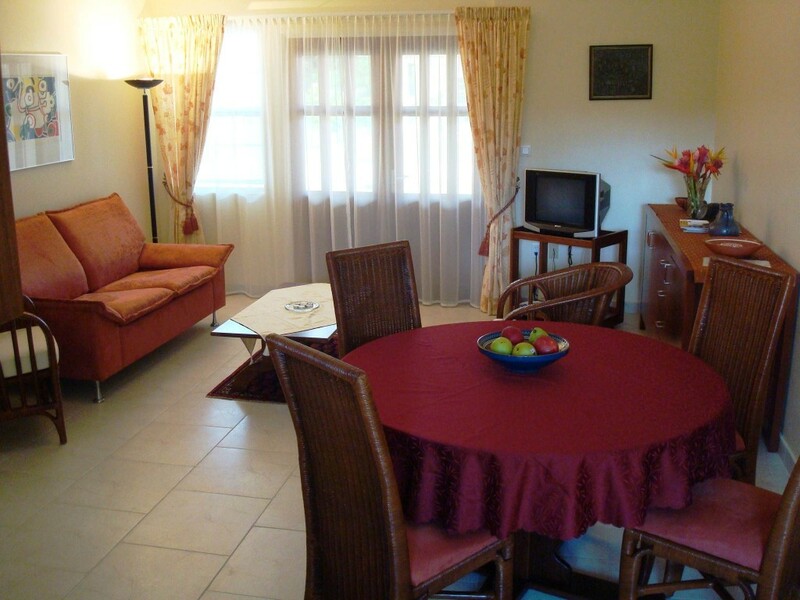 Our resort has several comfortable holiday cottages which are all supplied with air conditioning. We have a swimmingpool, fishingpools, jacuzzi, WiFi-internet, Wellness Center and a meeting point terrace. 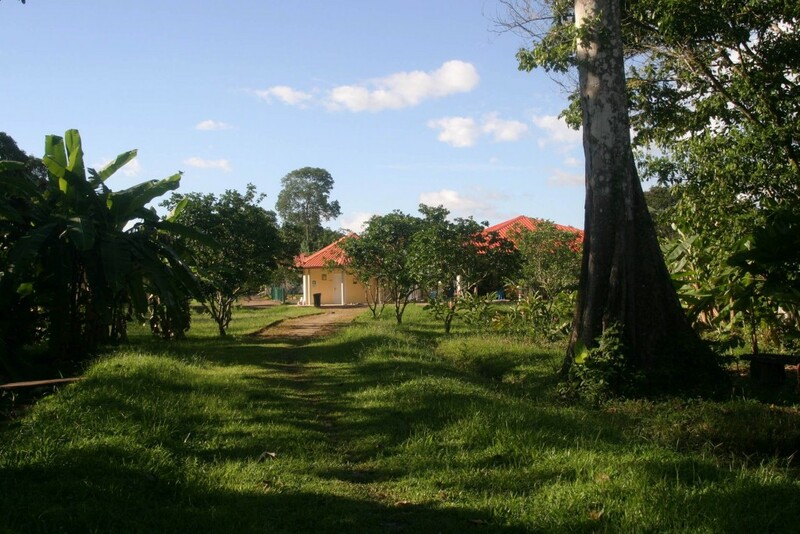 Further more Surinat has a large garden in which you can "safely" explore the nature. Surinat's accessibility by car is good, and it's a short drive from the Johan Adolf Pengel Airport and Paramaribo is also a short drive away. By car from Paramaribo-cross the Saramaccabrug - turn to the left, the "Sir Winston Churchillweg". Follow this road 18 km. You will pass State Oil, the base of the national army and the police station of Domburg. Hereinafter it is still 1 km continue the road until La Rencontre 5th Street. Here you go left. 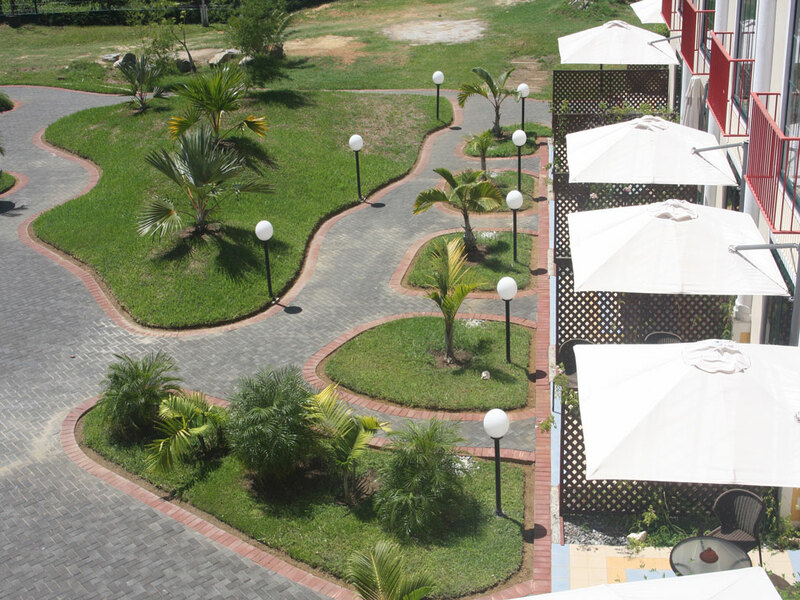 At the end of the road you will see the sign "Luxury Resort Surinat". Follow the arrow and after 600 metres you are at the destination. 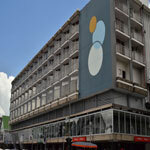 Elegant and comfortable and ideally located in the heart of the vibrant inner city of Paramaribo, Hotel Krasnapolsky is the perfect choice for holiday makers that enjoy the city life and business travellers that want to be mobile. Hotel Krasnapolsky has 84 stylishly designed rooms, several eating facilities, conference rooms and services, swimming pool, sauna, lively shopping arcade and also an office of Orange Travel where you can go to make plans from beginning to end for travels, tours and other activities. 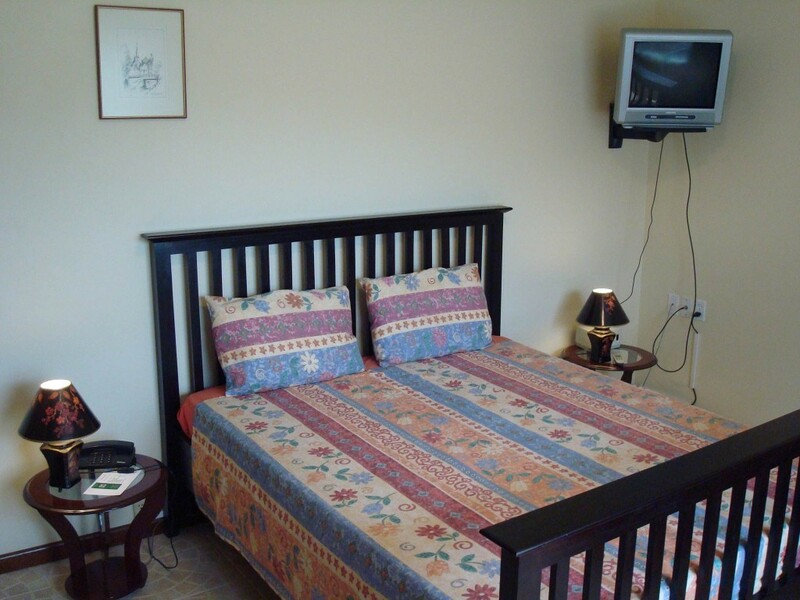 Hotel Krasnapolsky offers an extensive range of facilities. The different and tasteful options you are offered for breakfast, lunch and supper ensure that having your meal at Hotel Krasnapolsky is always something to look forward to. 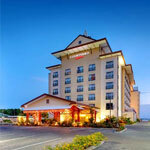 Some excellent restaurants, bars and well-known fast food chains (such as Pizza Boys, Popeyes Fried Chicken and Rituals Coffee house) are located in this hotel. Stylish and elegant diners, nice family meals, or a quick snack, you will have ample and varied choice. 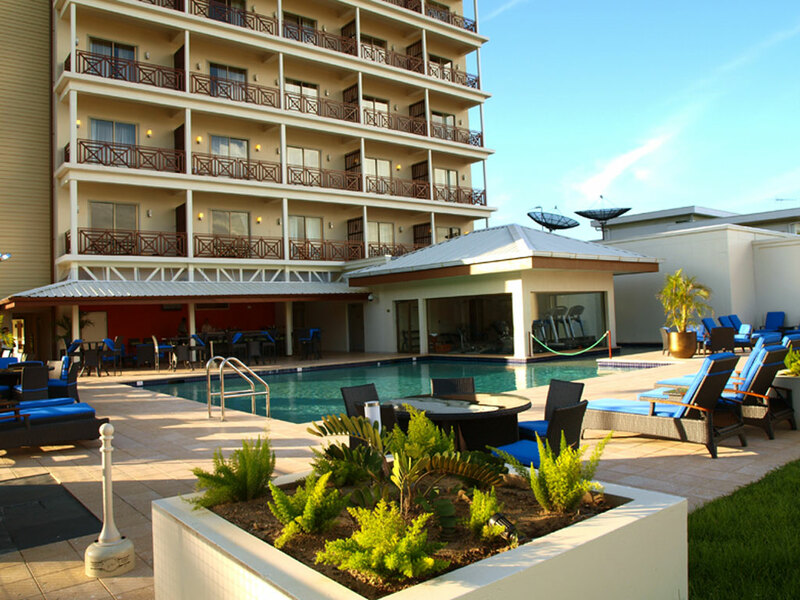 Hotel Krasnapolsly also has a pool with sun terrace, a tropical pool bar and a fitness area. A large lobby with a check-in counter, internet possibilities, shops and a parking lot are also some of the facilities offered. 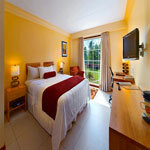 Torarica Hotel & Casino is the ideal choice when you are in Suriname for either business or pleasure. 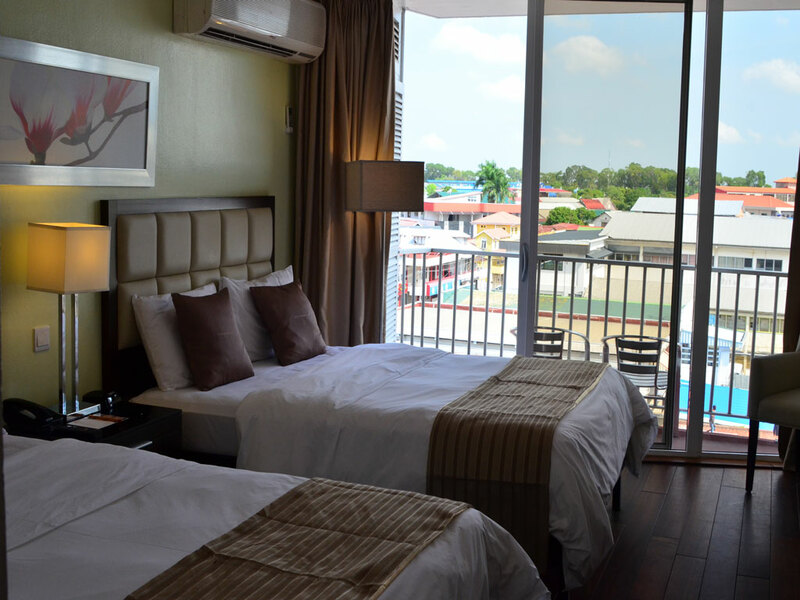 Located close to the water in the center of the city, the hotel offers a magnificent view of the Suriname River and is only a 5 minute walk away from the entertainment center of Paramaribo. 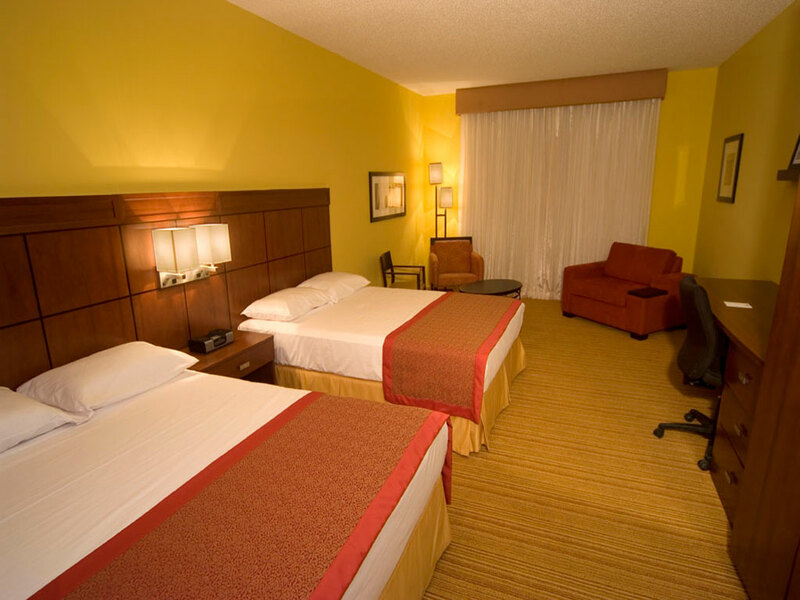 Torarica Hotel & Casino offers the right facilities that allow you to make your journey as comfortable as possible, while you are offered the highest level of comfort and service so you can experience the true holiday spirit. In the Centre of Paramaribo, located along the water, Torarica offers a beautiful view of the Suriname River and is merely a two-minute walk from the entertainment centre of Paramaribo. 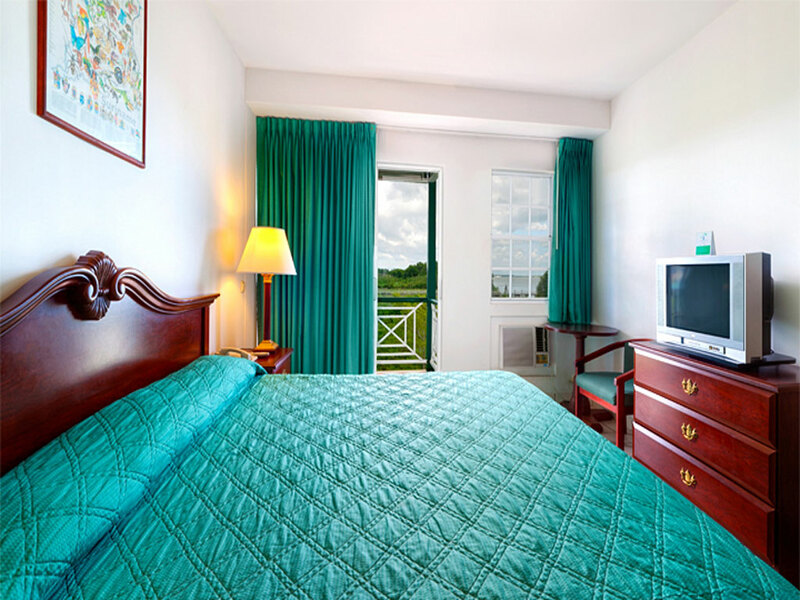 Torarica offers 132 spacious and elegantly furnished rooms that are all equipped with all facilities and conveniences that can be expected from the most renowned four-star hotel in Suriname. With all its modern facilities the Royal Ball Room is an excellent location for conferences, conventions and other meetings. Sports fans will be especially pleased with the many sports facilities and recreational possibilities Torarica has to offer. The Surinamese kitchen and international dishes that are served to you by Torarica's Chefs will undoubtedly have you coming back for more. Torarica's high quality customer-oriented service, idyllic location and facilities that fully meet the expectations of the modern business traveller and tourist will ensure you will feel completely at home in Torarica Hotel and Casino! 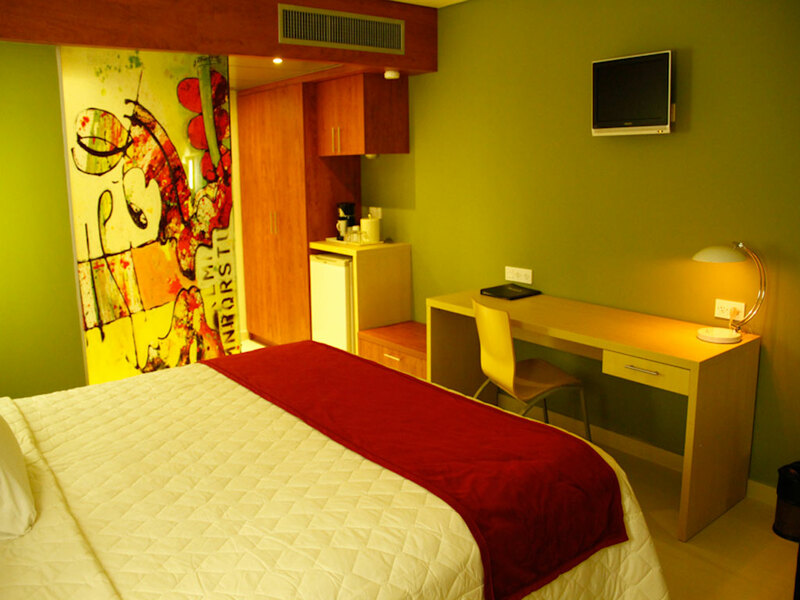 Torarica Hotel & Casino is the ideal choice when you are in Suriname for either business or pleasure. 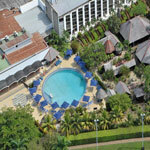 Torarica is one of the hotels with the most facilities and the largest tropical garden in Suriname. The hotel has a casino, restaurant, 3 bars, pool with sun terrace, fitness centre, sauna, Jacuzzi, lighted tennis courts, beach volleyball field, playground, laundry service, business centre, 2 large conference rooms and 1 meeting room. A bar built in colonial style and a pier are located in the backyard with a view of the Suriname River so you can relax and enjoy the cool breezes. Royal Torarica is the perfect place to stay for business travelers that appreciate high level luxury and comfort while doing business. With all the upscale modern facilities in place to accommodate even the most demanding business traveler we are more than equipped to cater to your every need. 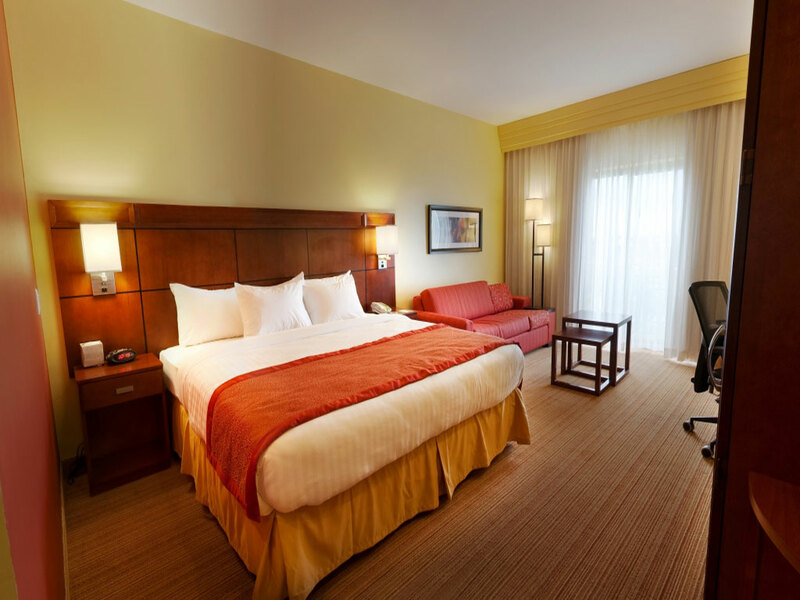 Our professional staff will ensure you'll have easy access to all facilities necessary to guarantee a most successful business trip and comfortable stay. 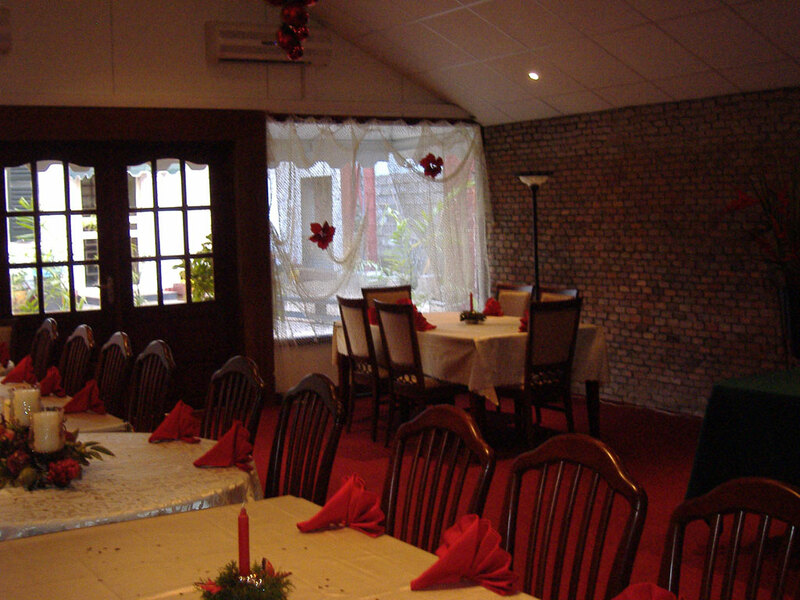 Royal Torarica has a restaurant that is one of the very few restaurants in Suriname that offers 'fine dining', a bar with professional barkeepers that can serve you great cocktails and our sparkling pool adjacent to a beautiful pond are merely some examples of the luxury Royal Torarica offers its guests. 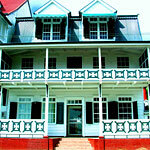 Eco Resort Inn is the perfect combination of architectural history and natural comfort in Suriname. 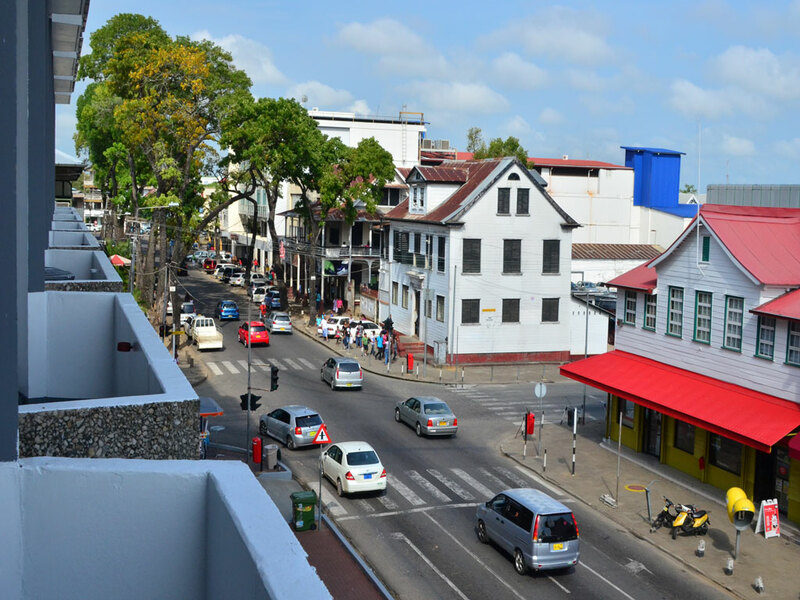 It is located along the Suriname River within easy reach of the historical center of Paramaribo and the entertainment area with many restaurants, bars and terraces. With 122 comfortable rooms, a bar, a lovely terrace, an abundant tropical garden, a parking lot and a 24/7 check-in service, Eco Resort Inn aims to provide all the conveniences expected by the modern traveller. As a guest of Eco Resort Inn you are more than welcome to use the facilities of the resort offered by the affiliated hotel Torarica Hotel & Casino, free of charge. 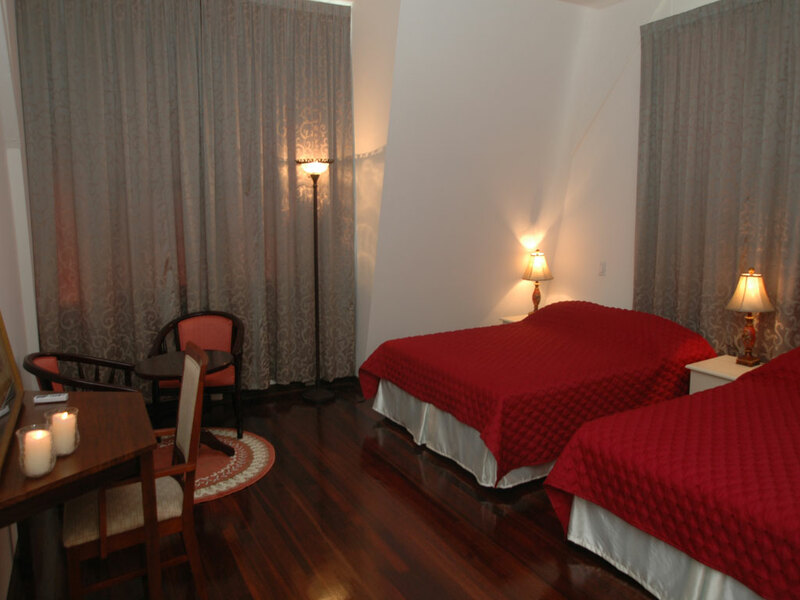 Hotel Torarica is located at a walking distance of 3 minutes. 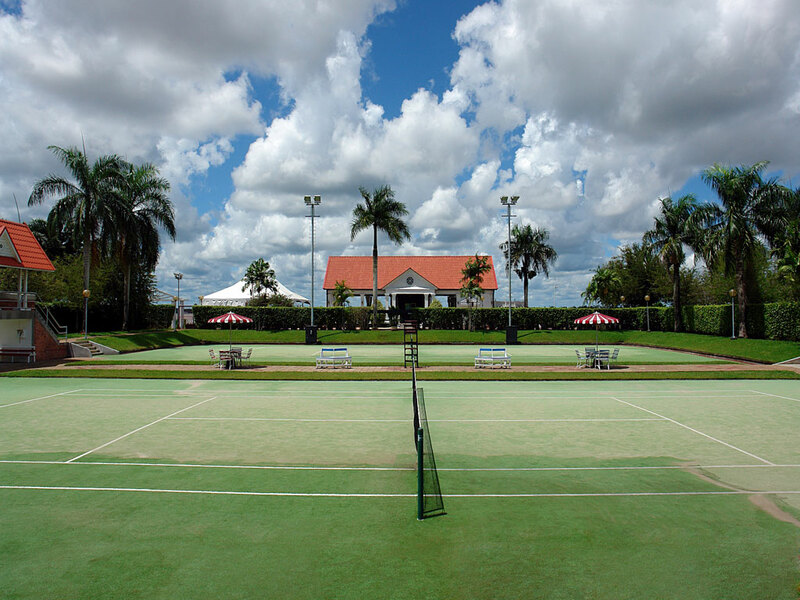 The available facilities include, among other things, a pool, fitness centre, sauna's, Jacuzzis, tennis courts and much more. Choosing Eco Resort Inn means choosing a hotel that is proud to provide its services to all its guests in the most attentive manner in an idyllic environment, allowing you to get acquainted with the natural hospitality that is a trademark of Suriname. Located along the beautiful Suriname River, Eco Resort in is at walking distance of the historic centre of Paramaribo and the entertainment centre consisting of several shops, restaurants and inviting terraces. 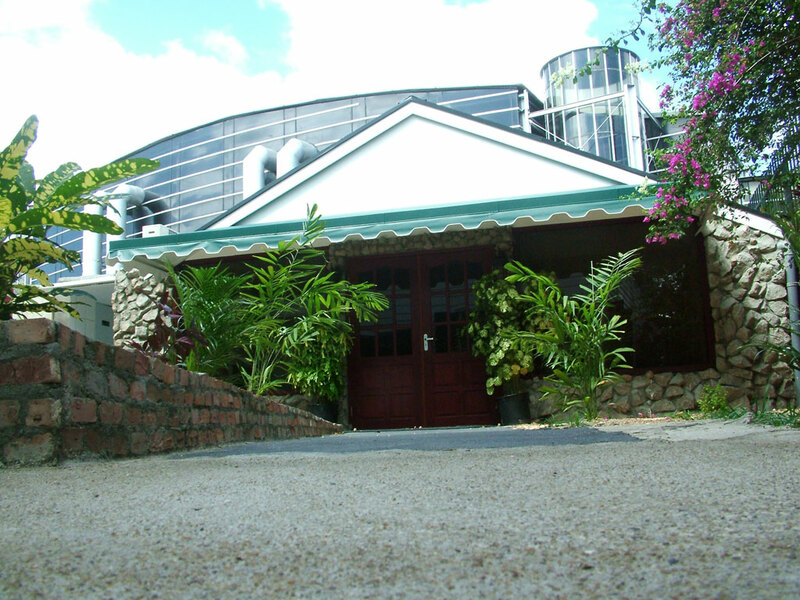 Eco Resort has a tropical garden and cosy lobby a bar, an open breakfast room, a small meeting room and a business centre. 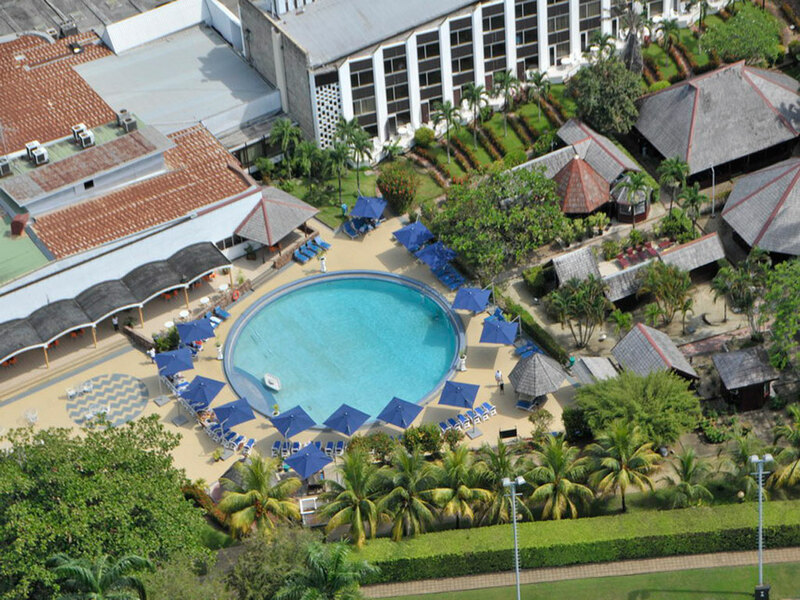 Courtyard by Marriott is located beautifully along the shore of the Suriname River close to the vibrant entertainment centre of Paramaribo. 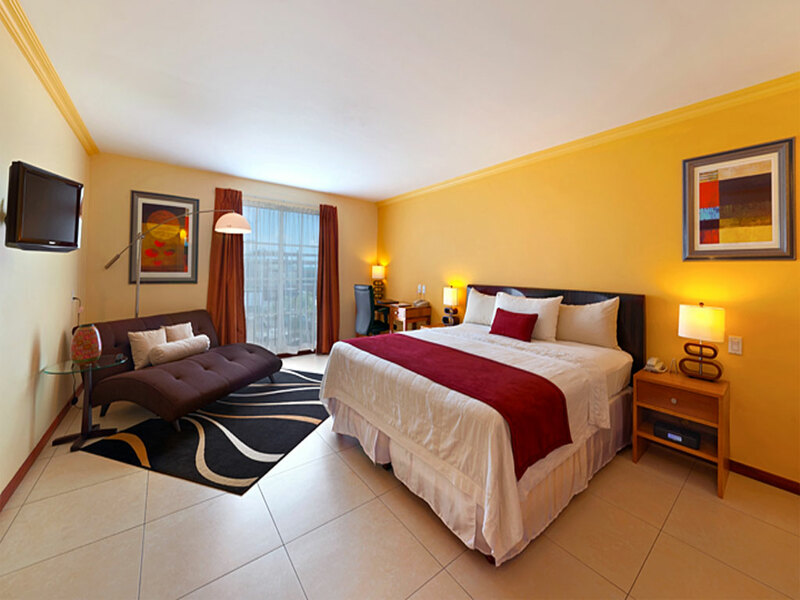 This four-star hotel is well ahead of most Courtyards by Marriott in the region due to her extensive facilities. The hotel is different from the regular Courtyards by Marriott, among other things, because of its larger swimming pool, more in-house restaurants, a gym and more extensive service. 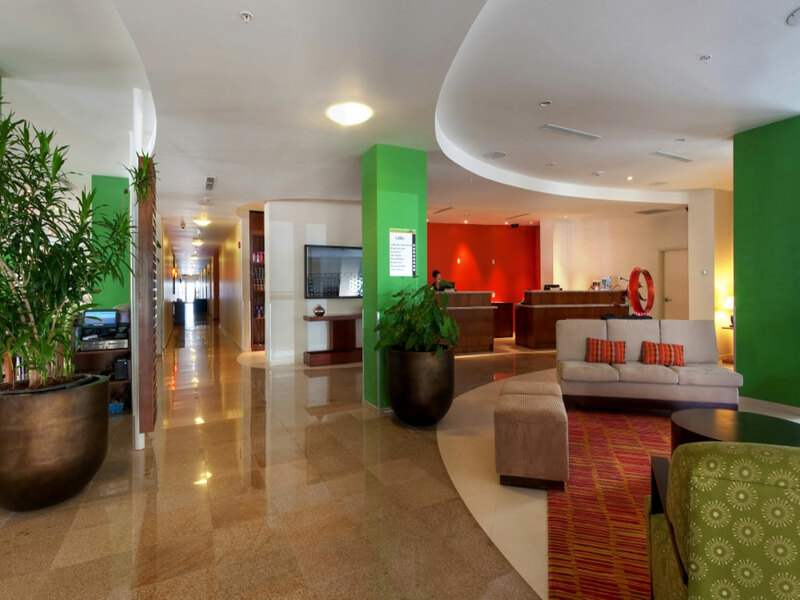 The available facilities and comfortable rooms make courtyard by Marriott the ideal hotel for everyone that wants to enjoy Suriname in a luxurious way. 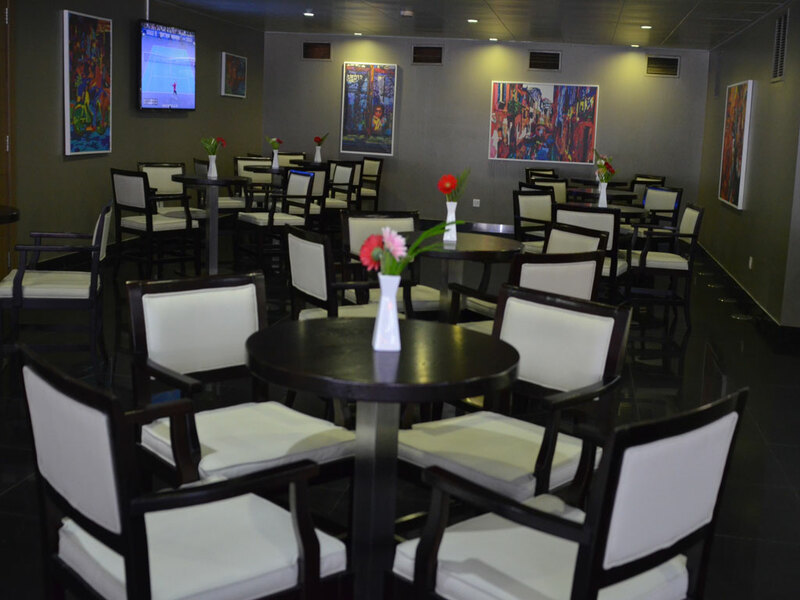 There is an inviting lounge with a bar in the lobby of the hotel, an excellent restaurant, a cosy bistro, a swimming pool with sun terrace, fitness center, long chairs and a pool bar where you are welcome to enjoy a delicious refreshing drink or tasteful snack, a conference room, business center an a large secured parking lot. You can also go to the historic centre of Paramaribo by using the shuttle bus service free of charge.